Made in New England: Applewood Smoked Slab Bacon 4 - 5 lb. 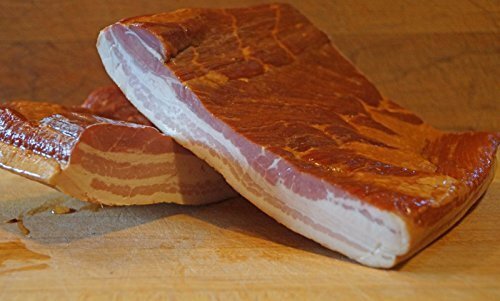 Applewood Smoked Slab Bacon 4 - 5 lb. Maple Cured center cut bacon rolled in cracked pepper prior to smoking.